Halifax, NS – 12 December 2017 – DHX Brands, the dedicated brand management and consumer products arm of DHX Media (TSX: DHX.A, DHX.B; NASDAQ: DHXM), is pleased to announce the worldwide launch of Teletubbies Play Time, a new mobile app produced by market-leading video game developer and publisher, Built Games. The captivating mobile game gives preschoolers the ability to interact with all four Teletubbies through playful activities that help develop their senses and motor skills. Teletubbies Play Time is free to download for all Android and iOS devices. Building on the trusted developmental brand values of the hit Teletubbies preschool show, Teletubbies Play Time helps little ones develop language skills through features such as “see-and-say,” which uses voice-recognition technology to help children’s grow their vocabularies. Teletubbies Play Time is carefully designed to help children learn to speak through repetition and consistent practice in an exciting yet non-intrusive way. 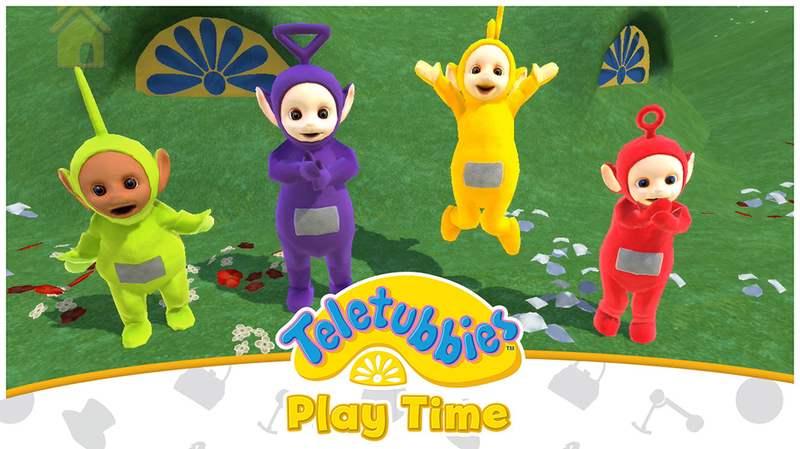 Teletubbies Play Time is one of seven Teletubbies apps currently available for Android and iOS devices. Through the power of play, laughter and technology, Tinky Winky, Dipsy, Laa-Laa and Po are engaging young children around the world and encouraging their development! Trade Media: Valerie Taylor at Valerie Taylor PR Ltd. Originally created in 1997, Teletubbies is one of the most successful global children’s brands of all-time. Targeted at young preschool viewers, it has reached over 1 billion children to date. The original episodes have aired in over 120 territories in 45 different languages. Debuting on Family Jr. in 2016, the modernized Teletubbies series stays true to the original, but is designed to captivate today’s digital toddlers with updated elements and visual CGI-enhancements. The characters now have Touch-Screen Tummies and techy gadgets, like the Tubby Phone smartphone, introducing a contemporary twist for a new generation of preschoolers. The multi award-winning Teletubbies encourages young children to watch television creatively, providing a safe and beneficial viewing experience. Teletubbies is produced by DHX Media. DHX Brands is the dedicated brand management and consumer products arm of DHX Media Ltd. (TSX: DHX.A, DHX.B; NASDAQ: DHXM), one of the world’s leading children’s content and brands companies. DHX Brands specializes in creating, building and maintaining high-profile global entertainment brands within the children’s and young adult markets. With expertise in brand development, licensing, marketing and creative, we build and manage brands that captivate and inspire through engaging content, first-class distribution, quality consumer products, immersive live experiences and digital media. DHX Brands’ world-class portfolio includes Peanuts, Teletubbies, Strawberry Shortcake, Twirlywoos, Massive Monster Mayhem and In the Night Garden. DHX Brands has operations in London, Toronto, New York, Los Angeles and Hong Kong. Built Games LLC (www.builtgames.com) is a video game developer and publisher that rocks out games with sass and style. Based in Los Angeles, founded in 2014 by games and entertainment industry veterans with extensive experience creating games and interactive apps for the biggest children’s brands on earth including titles for Warner Bros, Disney, EA and beyond. Built’s mission is to amp up the fun in everyone’s life.